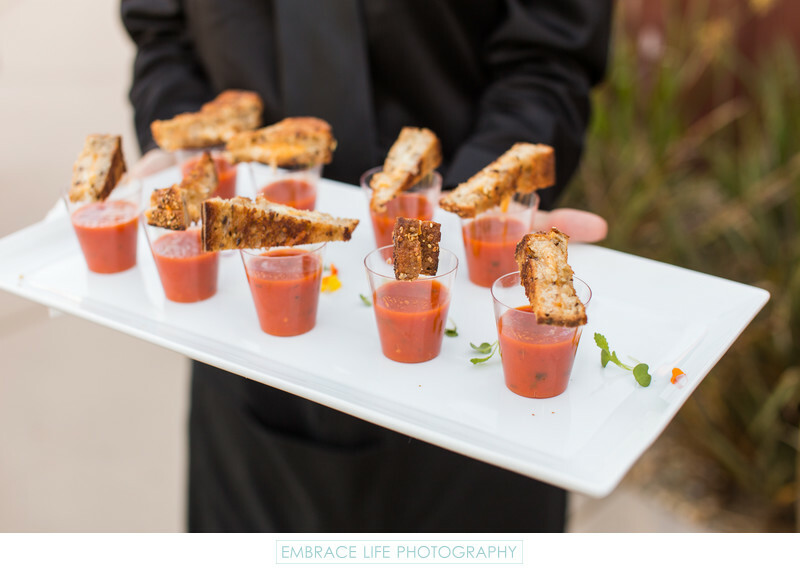 An artistic presentation of a delicious grilled cheese and tomato soup appetizer served during the cocktail hour of this Temecula wedding at Wiens Winery. When planning their weddings, couples put a lot of thought into every last detail, including the food served, so we do our best to capture it all, preserving those details and memories forever. Location: 35055 Via Del Ponte, Temecula, CA 92592.